Retailers of all types are exploring the reality of the virtual mall, a world where consumers can pull digital products from shelves, explore 3D versions of the products, make selections, and add the selected items to a virtual basket for immediate pick up or at-home delivery. WisePad™ 2 is an EMV-certified, mobile payment solution that allows customers to complete their virtual transactions with their debit or credit card. • Reduce the cost and hassle of hiring, training, and managing cashiers. • Relocate the virtual mall when it moves to new venues. • Minimize device size and weight, to enhance the customer experience. • Limit the need for peripheral devices. • Maximize the device functionality to provide real-time sales information and reports. WisePad™ 2 reduces hardware costs by 50%. WisePad™ 2 is light and compact; it is easy to carry and relocate. WisePad™ 2 processes transactions in real-time, and sends receipts to a printer or via email. WisePad™ 2 compiles weekly/monthly sales reports. WisePad™ 2 communicates with backend systems to settle payments. • Inexpensive setup of temporary sales stations. • Easy relocation when a virtual mall moves. • Accepts secure payments anywhere. • Payment solutions sync with digital merchandizing systems. 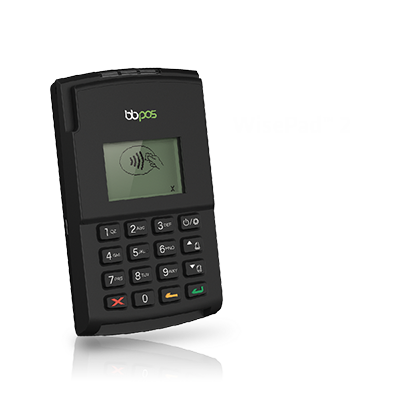 • Real-time transaction processing and validation.